Dr. Daryn Plancher is dedicated to helping individuals and families learn to better express and manage their emotional worlds. She approaches her work with compassion and encouragement. She has experience treating behavioral, emotional and addictive disorders. She focuses on the integration of thought and feeling. Dr Plancher attended Columbia University School of Social Work pursuing her Masters degree in Social Work. While in school she worked in a Hospital Psychiatric Emergency Rooms and learned the benefits of being part of a multidisciplinary team. As a result of the experience she chose to seek employment in a hospital setting. She worked at Bellevue Hospital in their Inpatient Unit for Drugs and Alcohol where she provided counseling, discharge planning, facilitated groups and managed a 30 day rehab program. Dr. Plancher was interested in furthering her education. This decision took her to Alliant University (CSPP) in Fresno, California. It was there she received a Masters in Psychology. She completed her dissertation and her internship and was awarded her Doctorate degree in Clinical Psychology. Dr. Plancher worked with various populations but her interest in helping people who struggle with addictions and those who prove to exhibit inadequate resiliency remain constant. She dedicates her time to both the private and public sectors. Dr. Plancher’s job responsibilities at Insight include facilitating groups, offering individual and family therapy, providing staff trainings and supervising interns and applicants for licensure. Dr. Plancher has an interest in the relevance of psychoanalytic thinking in the modern day world and attended the Los Angeles Institute and Society for Psychoanalytic Studies. Dr. Plancher has a private practice and continues to strive to better understand the balance between the persona and the true self. Frederik Schulin grew up in Denmark where, after obtaining his master’s degree, he started a pharmaceutical trading company that imported prescription medication. After these events Frederik received an offer to move to Los Angeles where he worked for three years in the fashion industry, pioneering the online clothing market. Eventually, he transitioned into the mental health treatment industry, where he applied his knowledge in online marketing to help those suffering from addictions. This led him to Insight Treatment, a program aimed at helping teenagers through mental health and addiction problems. Frederik joined Anthony Lopez, who had started the program, in helping it grow. When Anthony chose to step down, Frederik was brought in to run Insight Treatments in his place. Since then, he has dedicated his life to further improve the programs and the lives of its patients. 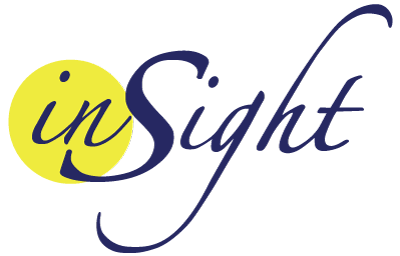 Insight Treatment has two facilities: Pasadena and Van Nuys. The center provides a program for teens and their families who are struggling with mental health and drug and alcohol addictions. Frederik enjoys being around the teens attending Insight Program and sees their transition and evolution. “I grew up with nature around me and has always enjoyed the outdoors. I love to bring a bit of my passion for the outdoors and our environment into the program” says Mr. Schulin. One of his aspirations in the near future is to integrate outdoors in a bigger way in the program. “I want to ensure that there are more opportunities for the kids to be inspired by the amazing nature that Los Angeles has to offer”. Allison Wolf, MA, is a Marriage and Family Therapist Intern providing individual therapy, group, therapy, and family therapy at Insight Treatment Programs. Allison integrates her Masters in Psychology from Phillips Graduate Institute with her Masters in Spiritual Psychology from the University of Santa Monica to support Insight clients and their families in their unique journey’s to healing. Allison’s clinical experience includes working with adolescents and their families at Grandparents as Parents, a non-profit organization providing therapeutic support for families with non-relative caregivers/guardians. Allison’s training has included an emphasis on co-occuring disorders, eating disorders, and substance abuse. Dr. Mitzen Black is a psychological assistant of Dr. Daryn Plancher, PSY 18182 and is the Utilization Review/Intake Clinician at Insight Treatment Programs. Dr. Black works with the treatment team to provide a comprehensive review of each client’s progress in order to obtain maximum insurance coverage available for each family. Dr. Black draws on her experience in clinical assessment and intensive treatment modalities for co-occurring disorders to ensure that Insight clients are able to utilize all of their insurance benefits to get the help that they need to improve mental health and to engage in healthier, constructive behaviors. Dr. Black received her graduate training at Fuller School of Psychology in Pasadena. Dr. Black completed her pre-doctoral internship at Wright Institute of Los Angeles, and was an active member of the treatment team for the Susan B. Krevoy Eating Disorder Program. Areas of interest include mental health treatment, recovery/addiction, eating disorders, spirituality/religion, health and wellness, and family dynamics. Dr. Black has a wealth of experience in therapy, psychological assessment, utilization review, and advocacy for client services. She most enjoys multi-disciplinary treatment and believes in the whole person model of treatment. Lisa has been working in the behavioral health field since 2004 and has extensive training in the Mental Health and Chemical Dependency fields. Having years of experience with intake and admissions as well as direct client care and operations, she is uniquely equipped to facilitate the admissions process for each client. Understanding the needs of families and referents, Lisa ensures the process of admission goes as smoothly as possible. Lisa is also a certified Wilderness First Responder and Clinical First Responder and is passionate about the healing capacity of being in nature! Jennifer Campoy is a Licensed Clinical Social Worker with a passion for working with adolescents and families. She obtained her Masters Degree in Social Work at Columbia University in New York and has worked with teens and families in a range of treatment settings, helping teens and parents connect & communicate, with a focus on emotional regulation and expression, and treating all types of trauma. She was the creator and Director of the Co-Occurring Disorders Department at Hathaway-Sycamores Child and Family Services, creating programming for teens & young adults struggling with substance abuse, recognizing the need to incorporate screening & treatment of substance abuse with mental health services. Interested in psychoanalytic theory, Jennifer continued her education at Los Angeles Institute and Society for Psychoanalytic Studies, completing a psychoanalytic psychotherapy program in May 2017. Jennifer has a private practice in Pasadena, CA. Andrea Valdez is currently in school to be a vet assistant. She’s been in the mental health field for 6 years. She enjoys helping out adolescents and be able to help them through their journey by sharing her experiences growing up as an adolescent herself. She enjoys listening to music, amusement parks, and volunteers a lot during her free time. She loves spending time with her two dogs when she’s not working or in school. Her passion has always been helping young adolescents to find their passion and be able to figure out what they want to do with their life’s. Annette Valdez has her Bachelor Degree in Business Administration from DeVry University. She’s worked in the mental health field for over 20+ years as a floor counselor, facility manager, intake coordinator, and in the marketing department. She’s always had a passion to work with families and their adolescents. Annette is also known as Nettie. She has experience working and connection with families for many years. She started off as a floor counselor and worked herself up to Program manager. She has a daughter of her own, so she’s able to connect and understand the struggle that each parent is going through. Nettie also enjoys reading, listening to music, is part of an outreach group that helps those in need, loves to go on nature hikes, and plays competitive slow pitch softball. Kyla Khouri is a staff assistant and former insight client and graduate. She graduated in February of 2017 and now works with the clients to help them connect with the program. She enjoys popular music, makeup, and YouTube culture. She is looking to study to become a counselor in the near future. Brigitte Burekhovich, MA, AMFT, is a Registered Marriage and Family Therapist Associate. She graduated from the Chicago School of Professional Psychology in 2014 with her Master’s degree in Clinical Psychology emphasis in Marriage and Family Therapy. 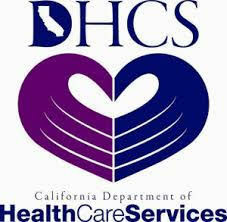 She is currently working towards completing her clinical hours for licensure. As one of the therapists at Insight Treatment, Brigitte will be providing individual, group and family therapy to the clients and families in the program. Brigitte has experience working with populations in the substance abuse, mental health, and co-occurring disorders field; as well as with children, adolescents, adults and their families. Brigitte gained her clinical experience working at the Clare Foundation, Children’s Hospital Los Angeles and at a Charter School Grades K-8. Brigitte has always had a passion working with children, adolescents and their families. Brigitte also enjoys outdoor activities, listening to music and playing soccer from a young age. She also loves exploring and taking her son to new and adventurous places. Brigitte is looking forward to work with you and your family. Eddie is currently in an Addiction Studies program to gain certification as a counselor and then transfer to a university for a psychology degree. After having his struggles and overcoming addiction Eddie’s passion for recovery and self-improvement has lead him to a career in the mental health field. A few years of experience in the field have gained Eddie knowledge into different aspects from running sober living house’s, running detox level of care facilities, working in a medication room, and has spent plenty of time working with clients one on one and in groups. Being family-oriented Eddie loves spending time with his parents, sisters, and nephews. Also, being very fond of being physically fit Eddie is a practitioner of Filipino martial arts (Escrima/ Kali). In his free time, Eddie likes spending it outdoors, going to the beach, hiking, and working out. Sheri Luong obtained a Bachelor’s Degree in Sociology with a minor in Psychology and a Master’s Degree in Higher Education (M.Ed.). She has worked in student affairs, educational programs, mentoring, and childcare. She has experience in building relationships and making connections with young adults. Sheri has a passion of working with students/young adults and seeing their academic and personal growth, and even in recovery. She enjoys working out, hiking, traveling, attending concerts, electronic dance music, going to the beach, experiencing different food and cultures, and spending time with her family and her puppy, Boba. Mark Rivera began his role as an Academic Coordinator for Insight Treatment Programs at the beginning of 2018. He received a Bachelor’s in Cognitive Science and Religious Studies from the University of California, Davis and leverages his experience as a tutor to motivate clients to reach their fullest academic potential. Mark also enjoys helping clients identify meaningful connections between the intellectual and experiential aspects of treatment. He spends his free time working out at the gym, going to meditation groups, and preparing for grad school. Esiete has been working in the mental health field for over five years and has a passion to help families. Esiete earned her masters at Saint Mary’s and has been working with a diverse population ever since. On her spare time, Esiete loves to explore new cities and read. Ivan likes to hang out with positive people, spend quiet time with his family and friends. His passion is working with adolescents who struggled with the same issues he did when he was young. He enjoys going out on adventures with his family and passionate about the12 step. He can relate to our kids and is able to give the support because of his own personal experience.